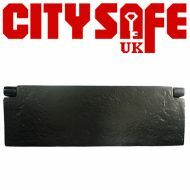 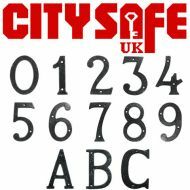 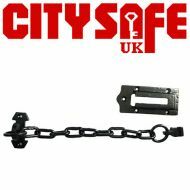 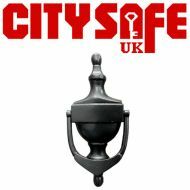 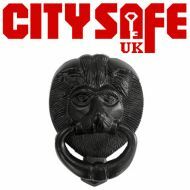 Here at CitySafe UK we have available a wide range of high quality door hardware, which allows you to offer your customers an extensive choice of products. 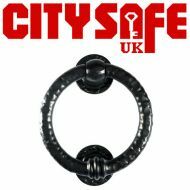 Classically designed and with a traditional appearance, black iron door hardware is the perfect finishing touch to any cottage or period property. 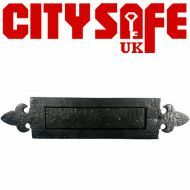 This resilient door furniture is the perfect accessory to make a home feel more rustic, combining security with authentic charm. Our range of black iron door hardware is made with solid cast iron and finished with a black powder coating, and includes a door chain, a selection of letterplates, a front door handle, a variety of door knockers and also attractive door numerals. 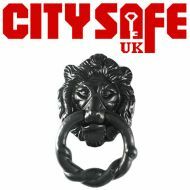 All products in the collection are durable and have superior strength as well as having an extremely high quality finish, making them an excellent addition to any door. 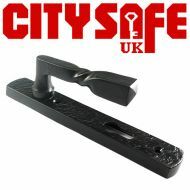 Take a look at our range of high quality black iron door hardware.